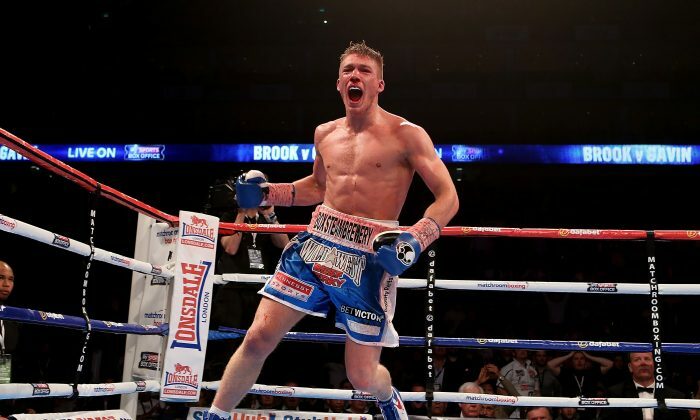 British boxer Nick Blackwell is in an induced coma following his title defense loss to Chris Eubank Jr. Saturday night. The middleweight fight was stopped in the 10th round by the referee as Blackwell was deemed unable to continue, by his doctor, due to swelling over his left eye. Blackwell, 25, collapsed shortly after the fight was stopped and had to be taken out of the ring on a stretcher with oxygen. Eubank Jr., the challenger, dominated the fight, and by late in the fight even his father, Chris Eubanks Sr. (who was in his son’s corner) told him to stop hitting Blackwell in the face so that the champion wouldn’t endure even worse punishment. Chris Eubank Snr may have saved Nick Blackwell’s life with these words. “I hit him with some big shots, maybe the referee should have stopped the fight earlier,” Eubank Jr. said, according to theguardian.com. Robert Smith, the British Boxing Board of Control general secretary, said “I spoke to one of the doctors this morning and he said there is a bleeding of the brain. For Eubanks Sr., the fight brought up memories of his 1991 bout with Michael Watson, that left Watson with severe brain injuries. Eubanks Sr. said he was banging the canvas during the fight to get the referee to stop the match.